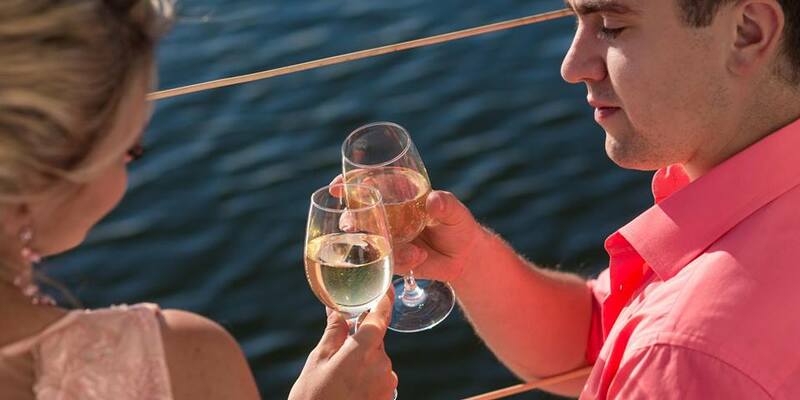 a delightful sit down dinner with tray passed Hors d' Oeuvres, free flowing champagne throughout dinner, hosted well bar (premium bar available for purchase) DJ onboard for moonlight dancing under the stars on open deck. This magnificent event will be aboard the beautiful "Sir Winston"
Saturday, February 9th; Boarding 7:00pm, Cruise 7:30pm-10:30pm. Thursday, February 14th; Boarding 7:00pm, Cruise 7:30pm-10:00pm.